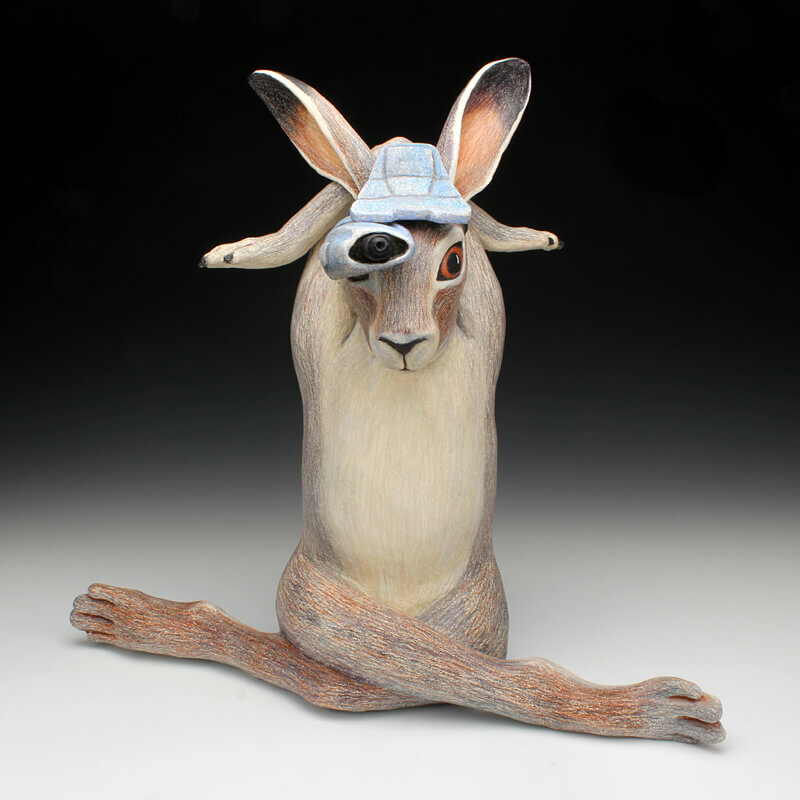 Figurative ceramic artist and musician, Joe Batt, is originally from South Dakota. He received a Bachelor of Fine Arts from the University of South Dakota and a Master of Fine Arts from the University of Montana. Currently, Joe is full time art faculty at South Puget Sound Community College in Olympia, Washington. He has also taught at The Evergreen State College (summer program), Lower Columbia College, California State University, the University of Montana, and Olympic College. Joe has done artist in residencies at the Northern Clay center in Minneapolis, Minnesota and at Watershed Center for Ceramic Arts in Newcastle, Maine. His work has been described as quirky, friendly, mysterious, and sentimental. Recent works are refined narratives of rabbits and children done in clay or charcoal. Joe’s ceramics have been exhibited widely in galleries and museums around the country, including Contemporary Crafts gallery in Portland, Oregon; the Holter Museum of Art in Helena, Montana; Art Space/Lima in Lima, Ohio; Pound Gallery in Seattle, Washington; Northern Clay Center in Minneapolis, Minnesota; FOVA Gallery at Texas Tech University in Lubbock, Texas; Santa Fe Clay in Santa Fe, New Mexico; Lorinda Knight Gallery in Spokane, Washington; and Two Vaults in Tacoma, Washington. My narrative ceramic sculptures combine various recognizable images such as people, animals, and manufactured objects, to make compositions which appear to make sense. I am inspired by social issues, the figure, nature, childhood, and the impacts Digital Age. I have always gravitated toward the figure and bright colors, possibly the influence of watching many after-school and Saturday morning cartoons as a child. I come from the Midwest and relate to the color and distortion of the Chicago Imagists like Red Grooms and Jim Nutt. Art teachers turned me on to the Pop sensibilities of Robert Arneson and other “California Funk” ceramic artists. Edith Garcia and Arthur Gonzalez have also inspired me with their robust story telling sensibilities.